Emergency Locksmith and Lockout Service in Atlanta, Brookhaven, Chamblee, Tucker, Norcross, Dunwoody, Smyrna, Decatur, Stone Mountain, GA.
QuickPro Locksmith offers expert keypad door lock repair, replacement and installation in Atlanta, Dunwoody, Chamblee, Tucker, Norcross, Stone Mountain, and surrounding areas. There are many benefits to switching to keypad locks. Whether you’re a home or business owner, keypads provide both high security and convenience. However, today’s technological advancements have led to an explosion of keypad lock availability, and with it consumers are left with an overwhelming number of options. How do you choose which ones are the best? It truly depends on your unique circumstances and budget. At QuickPro Locksmith, we help residents and businesses in Atlanta, Suwanee, Stone Mountain, Dunwoody and other nearby communities find the perfect locks for their needs and want you to do the same. If you’re searching for your next keypad lock system, here are a few tips to ensure you get the best return on your investment. The first consideration to make when choosing your keypad locks should be whether you need manual or electric units. Manual locks are great for those who want something basic and prefer a minimum amount of maintenance. When you install manual keypad locks, there’s also never a reason to worry abou ta power outage locking you out of your own home. On the other hand, electric locks come with a lot of features that manuals don’t. For instance, backlighting, speaker systems, biometric or RFID capabilities or other enhanced features may not be possible without electricity. The manufacturer is an important aspect of choosing your locks, but it should never be the only factor. Even the most popular and well-known companies have been known to create terrible models from time to time. In addition, there are smaller companies that have made some of the most dependable keypad locks in the world. So, know which brands produce the highest quality, but look around and do your research before making a final decision. Some electronic keypads come with added security features like alarm systems and video surveillance. While these models are more expensive, they certainly provide the strongest deterrence against crime. If your home or commercial property keeps a lot of valuables or cash on hand, then these options may be well worth the cost. Should You Get Smart Locks? Smart locks are the newest keypad lock in the marketplace and are quickly becoming a favorite among property owners. These innovative locks can be controlled remotely via smartphone apps. Smart locks have the power to transform the way that people protect their belongings and loved ones. Parents can ensure their older children are safe after school, and business owners can finally have the ultimate access control. However, be sure to thoroughly research before you buy. Just because a lot is smart, doesn’t mean it is well suited to protect against break ins. Some locks may be susceptible to hacking, and others with key entry options might still be bypassed with a bump key or other lock picking tool. If you’re interested in updating your current locks to keypads, then give the experts at QuickPro Locksmith a call. Our team of experienced mobile locksmiths will be at your location quickly, with all the tools and equipment needed to install your new system effectively and affordably. Contact our office to find out more information or to schedule your next appointment. Quickpro Locksmith LLC Rated 4.7 out of 5 based on 138 ratings and reviews. Are Biometric Locks Right for Your Company? Can Door Reinforcements Protect Your Home Against Burglary? Call Now To Schedule Emergency Locksmith / Lockout Service in Atlanta, Brookhaven, Chamblee, Tucker, Norcross, Dunwoody, Smyrna, Decatur, Stone Mountain, GA and all surrounding areas. Call us now or fill out the form below to request lockout service in Atlanta, Brookhaven, Chamblee, Tucker, Norcross, Dunwoody, Smyrna, Decatur, Stone Mountain, Roswell, Lawrenceville, Sandy Springs, College Park, Lithonia, East Point, Doraville, GA and all surrounding areas. Phone: 404-442-0300 Website: http://www.quickprolocksmith.com © 2016 All Rights Reserved. 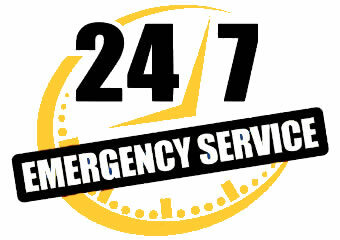 We provide emergency locksmith, Business lock change, Business rekey, Business lock repair, Business lockout, Commercial lock change , Commercial rekey, Commercial lock repair, Commercial lockout, Push bar replacement, Push bar repair, Home invasion, Commercial emergency lockout, Multilock, Door rekey, Doors reinforcements, Eviction locksmith, Emergency lockout, House lockout, Home lockout, Residential lockout, Car lockout, Auto lockout, Residential lock change, House lock change, Home lock change, Deadbolt rekey, Deadbolt replace, Deadbolt installation, Key lass entry, Car key made, Auto key replace, Car key replace, Car key made, Auto key made, Safe lockout, High security key, High security locks, Heavy duty locks, and Lock installation services in Atlanta, Brookhaven, Chamblee, Tucker, Norcross, Dunwoody, Smyrna, Decatur, Stone Mountain, Roswell, Lawrenceville, Sandy Springs, College Park, Lithonia, East Point, Doraville, GA and all surrounding areas.